Home Politics US Politics Will Mueller’s investigation lead to Trump’s impeachment? Will Mueller’s investigation lead to Trump’s impeachment? How will Trump’s supporters react, if the evidence of the investigation by Special Counsel, Robert Mueller reveals a direct link between the Russians and Trump? The U.S Presidential elections of 2016 are under scrutiny since May 17, 2017, which is conducted by the US Department of Justice – Special Counsel’s Office. This investigation is headed by Robert Mueller, a former Director of the Federal Bureau of Investigation (FBI). Mueller suspects a foul play in 2016 Elections, which he believes was influenced with Russian involvement. The investigation is going very strong by the Special Counsel’s Office and in the next few days, America may witness the series of disclosures which will greatly impact President Trump. Not only Trump but his eldest son and son-in-law both are under scrutiny. They both allegedly attended meeting with Russian counterparts during the 2016 election campaign. Recently Trump’s former lawyer Michael Cohen pleaded guilty with regard to lying to Congress about the timeline and involvement of Trump in the negotiations of Trump’s Tower in Moscow and this changed the political equations. With the court’s filing mainly focusing on Michael Flynn, Trump’s first National Security advisor and Paul Manafort, ex-campaign Chairman would offer some enticing details about 2016 campaign. If Mueller lives up to what is expected, there would be more surprising disclosures coming up and rich texture to colour the picture he has already painted in indictments and witness testimony of a culture of endemic dishonesty in Trump’s orbit about multiple, so far unexplainable, ties with Russians . So far, Mueller has managed to get 3 of them sentenced, 1 was convicted at trial, 7 guilty pleas, 36 people charged and entities with the total of 192 criminal counts . This count in itself states the direction the investigation is heading towards. He first exposed the interference of Russia in the electoral process and identified the culprits in Moscow’s spy agencies. With the indictment of the trump’s close aides like Manafort and his deputy Rick Gates which showed their ties with pro-Russian figures. Clearly, Mueller is building a layered narrative. Russian involvement in the elections 2016 is very clear now, however, the question still remains whether Trump’s Campaign was have coordinated or cooperated with Russia’s activities and were members’ of the campaign in constant touch with the Russians? The shady links between the key players are coming out with every twist and turn in the case. The enthralling trove is building of hints and implied a connection. 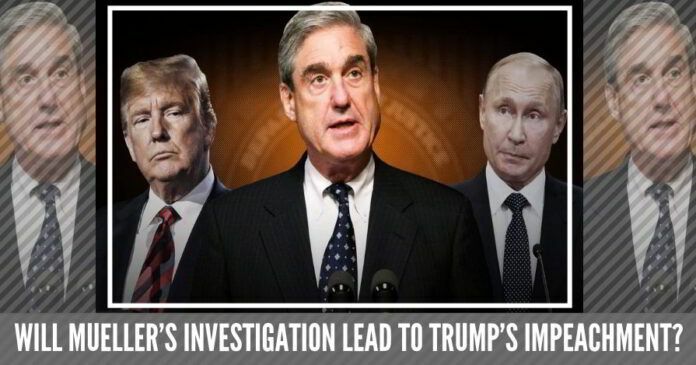 It is speculated that Mueller is already working on his detailed paper trail, just in case he gets fired by Trump before his final report is ready to publish. The team Trump has put their personal and financial interest before the national interest. How will supporters of Trump respond to evidence? Will they support him or turn away from him? How will they justify their support for him? It is also observed that the investigation showing the links between Trump’s associates and Russia has been often subtle. If the special counsel can prove that they in any way coordinated the timing of the WikiLeaks dump to take the heat off Trump at a moment when his entire campaign was in peril, it would strongly suggest collusion . Why the only significant Black member of Trump’s inner circle was fired….? Half baked article. None of the Mueller indictments and convictions as of today has anything to do with Russia collusion/interference theory. Is Trump’s fight with the FBI a Mission Impossible?